Clear screen protectors are best for heavy users of video and media. Protects against scratches, leaves no markings when removed and feels great to touch. You should use tape to remove any dust on the screen and a Bank Card to remove air bubbles. 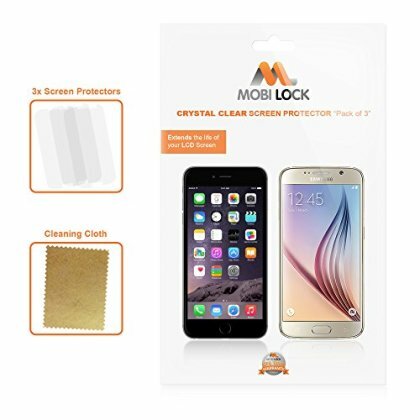 The reason for the split between Positive and Negative Reviews is because of counterfeit Mobi Lock products sold under our Mobi Lock Brand. Therefore the majority of the negative reviews are not a true reflection of the quality of the product. Mobi Lock is a registered Trade Mark owned by Lock Sourcing Limited so please make sure you order from Lock Sourcing Limited in order to avoid receiving lower quality products. Sellers selling under our brand will be prosecuted in accordance with the Law.